Three Custom Brenspeed Tunes 2018-19 Mustang HUGE GAINS! 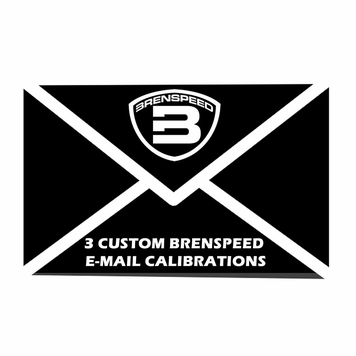 Home | SCT Programmers | 2018 Programmers & Custom Calibrations | E-mail Tunes | Three Custom Brenspeed Tunes 2018-19 Mustang HUGE GAINS! Product Reviews for Three Custom Brenspeed Tunes 2018-19 Mustang HUGE GAINS! You have installed Aftermarket Camshafts and/or Aftermarket Ported Heads, or Large Valve Heads. If you already have an SCT tuner then a custom mail order tune is a great option to free up power in your Mustang. You get the same great benefits as if you purchased your SCT tuner from Brenspeed and we will simply e-mail the tune to you along with instructions on how to install it on your programmer. Our custom tunes will give you the fastest throttle response possible, increased HP, the maximum torque possible at lower RPM’s, and often improved MPG. Brenspeed’s custom tunes are a far cry from your basic aftermarket tune. We have years of experience and R&D invested into our tunes to give you more benefits than just a peak HP gain on the dyno. With multiple modifications performed to many parameters within the torque management, adaptive learning, and drive by wire tables it is common to reduce quarter mile ET’s by as much as a half second. *NOTE: If you have aftermarket Camshafts installed on your Mustang please select on the drop down list. 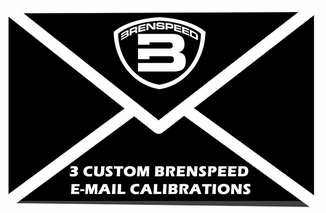 Brenspeed has worked directly with Comp Cams to develop the premier calibration for their 5.0L cam line. 100% fully approved by Comp Cams. Your 3 tunes included (1) Low Octane Street Tune, (1) High Octane Street Tune, and (1) High Octane Race tune. After you order our sales department will e-mail you to find out about your current modifications if any, your Mustang in general, and other information so we can develop your custom tunes. Expedite Option: Typically all custom tuning orders are built in the order received. We understand that our customers sometimes have to be to a race, car show, or just want it fast. Because of time sensitive events we offer expedited custom tuning for an extra charge of $49. We will build your custom tune outside of normal business hours in order to give you a one business day turn around. If you choose this option please contact our sales department as soon as possible to provide us important tuning information. One Custom Brenspeed Tune 2018-19 Mustang HUGE GAINS!